This award-winning picture book teaches an important lesson about doing your chores, properly. Second prize winner in the Picture Books 5 and Younger category at the Purple Dragonfly Book Awards 2017. Zobott wasn't normally so noisy. 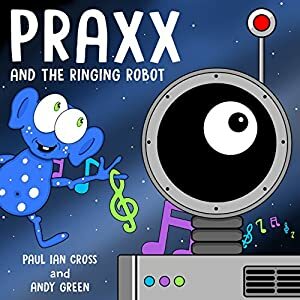 Join Praxx as he discovers why his best friend is making such a racket. Zobott is...The Ringing Robot! A fun sci-fi picture book - for ages 2-6 - about how NOT to tidy the house! "Mama, if I weren't born, what would you do?" Willy starts a conversation with mama Bear while he's on the move, acting like a natural youngster. 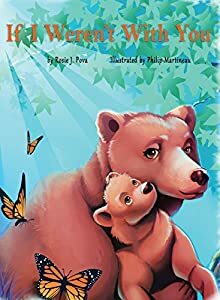 In a series of simple and direct questions, the bear cub seeks and receives his mother's reassurance of love and security as the two take a walk in the forest. Mama Bear uses imagery of the forest to communicate her feelings to her cub. Straight from the undiluted imagination of a youthful brother and sister team comes "must read" poems for all ages. 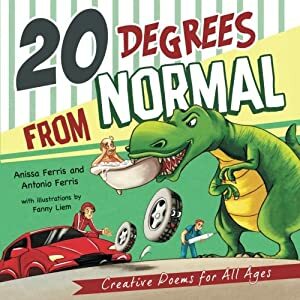 The diverse assortment of poems will have you laughing out loud, nodding your head in agreement and then recommending the book to a friend. On top of this, the striking full-color illustrations by renowned international artist Fanny Liem brings to life the characters with colorful, rich and vibrant drawings! Kirkus Best Books of 2016 (Book 1: Summer) & 2017 (Book 2: Winter), the Gracie & MonkeyBear series celebrates imagination, kindness, and helping those in need! From aiding a Yeti & Yak to saving a Thunder Dragon, author C.S. O'Kelly and illustrator, Jordy Farrell take us on an adventure for the ages! With beautiful, and often amusing, illustrations, which make us turn the book sideways every now and again, these are stories that grown-ups and kids will enjoy experiencing over and over. A wonderful gift for all occasions. 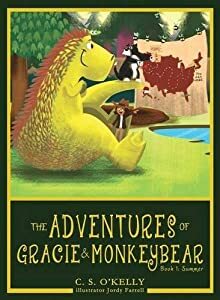 The Adventures of Gracie & MonkeyBear series is unique in every sense of the word and the message of compassion, friendship and empowerment will be enjoyed for generations. Purchase your copy today. When Sarah Simpkins is teased about her shadow in the school playground, she finds herself wishing she didn't have one. That night she has the chance to make the wish come true. But will losing her shadow really make her happy? Nick Jones' critically acclaimed debut children's picture book deals with issues such as bullying and self-confidence from a refreshingly original angle. 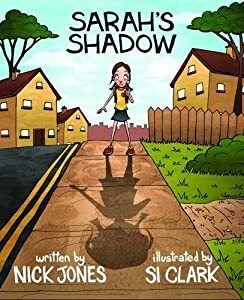 Illustrated beautifully by Si Clark, Sarah s Shadow taps into the young reader s imagination and leaves them with a powerful, positive message. When Ella's BFF, Bella, moves to a new town, she's left behind with nobody to play with at recess and has to eat lunch by herself. Her teacher, Mrs. Fancy, jumps into action and facilitates the building of a Friendship Bench which becomes a destination spot for children needing a friend. The artwork for this book was provided by the children of Fir Grove and Oak Grove Elementary Schools in Albany, Oregon. Proceeds from the book will be used to perpetrate acts of kindness. Tovi and his friends are visiting the beautiful city of Paris. All of a sudden Tovi falls deeply in love with someone on a poster. He wants to meet her! But he doesn't know where to find her. Luckily his friends help him by leading him on a treasure hunt. Tovi books are designed in a simple animated way to give young readers the impression of watching a short film where Tovi and his friends play out their adventures. The books are aimed at children aged 2-6 (picturebooks), who hopefully will join Tovi in his mini-adventures, and learn something about life and the world around them. 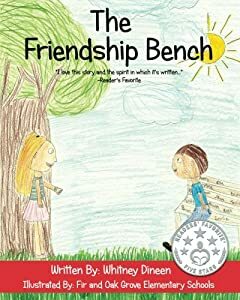 As the lovable characters in these books share a whole range of experiences, they learn about sharing, about helping each other, and most important, they learn the value of friendship. You'll be surprised what an exciting time little penguins can have! 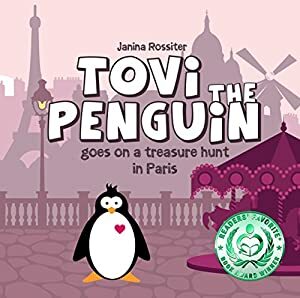 Tovi the Penguin is a children's book series. From dinosaur excavations to deep-sea rescues, author C.S. O'Kelly and illustrator, Jordy Farrell take us on an adventure for the ages! With beautiful, and often amusing, illustrations, which make us turn the book sideways every now and again, these are stories that grown-ups and kids will enjoy experiencing over and over. A wonderful gift for all occasions. 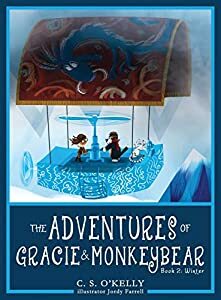 The Adventures of Gracie & MonkeyBear series is unique in every sense of the word and the message of compassion, friendship and empowerment will be enjoyed for generations. Purchase your copy today. FIVE STARS READERS' FAVORITE® and a MOM'S CHOICE AWARDS® Silver Medalist Winner honoring Excellence! A children's picture book based on the classic fairy tale "The Three Little Pigs", with the themes of bullying, friendship, sibling rivalry, and self-reliance. 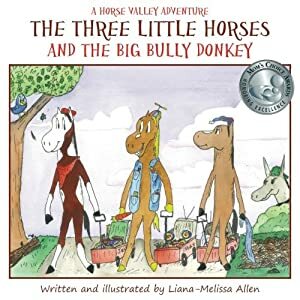 The tale features three young horse brothers who lose their house to a fire and are left alone and thrust into the reality of having to depend on themselves and each other against a bully donkey who wanders the forest wrecking homes and bullying the other animals. This warmhearted tale promotes strong values and has a fun premise. Children and young readers will be entranced as the characters come to life through Liana Allen's vibrant illustrations. A great read aloud story! 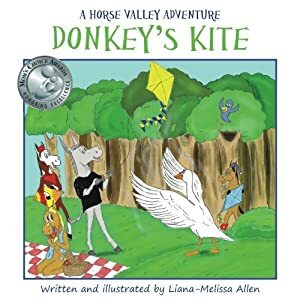 Donkey's Kite is a FIVE STARS READERS' FAVORITE® and a MOM'S CHOICE AWARDS® Silver Winner children's picture book about perseverance, teamwork, helping others, bullying, and friendship filled with colorful storytelling illustrations by the author! "This is another fun adventure in Horse Valley. Children will learn the true value of friendship and not giving up. There were more wonderful illustrations that kept me lingering, looking for all the hidden gems secreted on each page. With such fun, colorful characters and lessons to be learned, children will delight in this new adventure and be begging for more." "This book has bright, colorful illustrations that children are sure to enjoy. The dialogue is lively and fast moving; it would be a fun read aloud for preschool children." In the enchanted land of Horse Valley, it's a perfect day to go kite flying! Horse brothers Jack, Max, Lax, and their friend Donkey decide to get creative by putting together their own homemade kites. However, Donkey's kite doesn't turn out very good. No matter how hard he tries to get it to fly, it just keeps tumbling to the ground. How will poor Donkey get his kite to fly? Well, a friendly goose named Gusty is delighted to help him out. In this Horse Valley Adventure, Donkey learns not to give up when all seems hopeless.